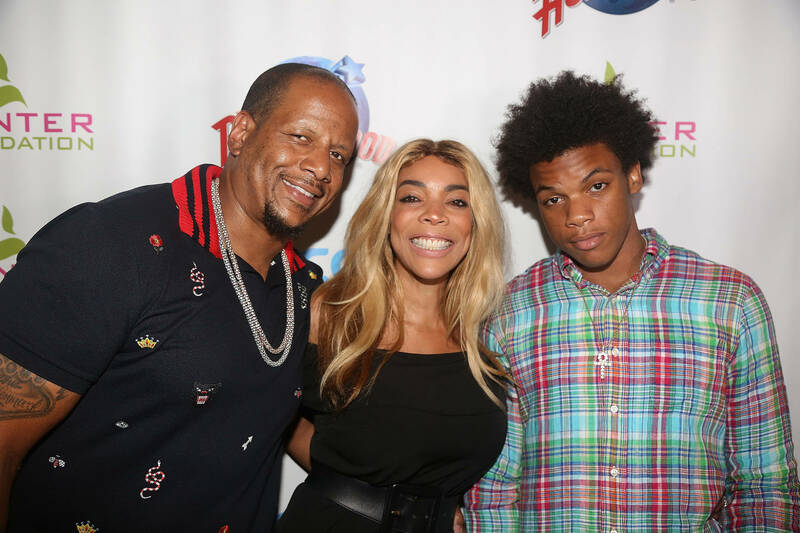 Ever since December of last year, Wendy Williams has been rumored to be dealing with some pretty serious drama in her family. Yesterday, it was reported that her husband Kevin Hunter, who reportedly cheated on her and got his mistress pregnant, is still with his girlfriend, moving her out of state for her safety. Wendy revealed that she has been staying at a sober living facility as she recovers from drug addiction. Her relapse was apparently caused by the alleged cheating scandal. Now, there appears to be evidence of Kevin Hunter and his mistress still shacking up together, posing for photos on vacation while Wendy recovers. As reported by Daily Mail, Hunter is still leading a double life with his 33-year-old mistress. According to the report, Sharina Hudson is nearly at her due date, giving Hunter several ultimatums and demanding that he leave his celebrity wife so that they can finally settle down and start a family. Hunter has reportedly shut her down every time though, insisting that Wendy funds his lifestyle so he's not willing to give her up. "Kevin is in love with Sharina but he can't leave his wife because he and Sharina can't take care of themselves - they need her money," said a source. Daily Mail obtained photos of Kevin Hunter and his mistress while they cuddled in bed. Kevin could be seen with a huge grin on his face. The photo is said to have been taken while the couple vacationed during Wendy's television hiatus. When Williams confronted her husband about the alleged affair, she reportedly fractured her shoulder after falling down during a serious altercation. This drama appears to be the root of Wendy's renewed battle with alcohol and drugs, leading her to seek professional help for the first time in her life.